Trophy Hunters Are Secretly Meeting Right Now For The Worst Reason. American hunters from Safari Club International are in a closed-door, week-long meeting with representatives from African countries to plan the future use of Africa's wildlife. The four-day conference of The African Wildlife Consultative Forum is being run jointly with South Africa's Department of Environmental Affairs (DEA). From a leaked agenda it's clear that the gathering is aimed at building an African pro-hunting lobby at the forthcoming meeting of the Convention on International Trade in Endangered Species (CITES) scheduled for Johannesburg next year. The African Wildlife Consultative Forum is an offshoot of Safari Club International. However, environmental non-government organizations (NGOs) requesting access to the conference were blocked by DEA deputy director Mpho Tjiane, who emailed them claiming "this is a government meeting and is not open to the general public." Journalists requesting accreditation have been told that attendance is by invitation only and they're not invited. There is no indication that deliberations will be made public. 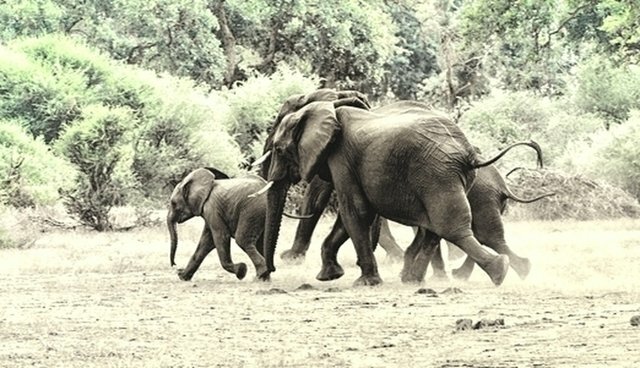 Following the recent death of Cecil the lion and a huge tusker in Zimbabwe, trophy hunting has come under considerable pressure from governments and conservation organizations. Questions have been raised about whether trophy hunters are protectors of biodiversity, as they claim, providing funds and a reason to protect wild areas, or whether they are simply killers of wild animals? Safari Club International has a large and wealthy membership keen to counter negative publicity about trophy hunting. The agenda at the South African meeting makes it clear that they aim to convince African delegates to support trophy hunting and act as a bulwark against growing distaste among members of CITES. The South African Government's enthusiastic support for this line of thinking, despite scientific studies which show that little money from hunting goes to communities and that killing the biggest and fittest animals, is detrimental to species, is of concern to many involved in genuine conservation. "It is of grave concern that issues of this nature and importance are discussed at closed meetings with what appears to be predominantly pro-hunting representation," said Karen Trendler of the NGO Working Wild. "Many conservation and response organizations will be affected by the various issues being discussed, as will broader South Africa, and it would be preferable to have wider representation." "The agenda is clearly not only pro-hunting, but also seeks to raise doubts about the value of photo-tourism against hunting. It also appears to support those wishing to overturn the CITES ban on trade in rhino horn. Given the non-transparent nature of the conference, it's hard not to infer a conspiracy between hunters and governments in proposals that will be presented to CITES in the public's name." The first session kicked off with an address by professional hunting associations and presentations include issues around the trade of ivory and rhino horn, the role of sport hunting, the Vietnamese demand for rhino horn, import/export permits, the breeding of color morphs for hunting and the value of hunting as opposed to photo-tourism. DEA moderators are being assisted in every session by George Pangeti, an official of Safari Club International who was head of administration in the Department of National Parks and Wildlife Management in Zimbabwe. His online biography makes it clear that the African Wildlife Consultative Forum was created by Safari Club International to "discuss issues of sustainable wildlife management, sport hunting and benefit flow" in Africa. It was also tasked to lobby CITES "in support of sustainable use, especially sport hunting, and trade in wildlife products."